Cre8 provides a fun, safe and encouraging space for children aged 7 and above to learn and practise Arts and Science activities, meet new people and play some fun games. Each 8 week Module has a particular focus, but resources and know-how are provided for anything you can dream up! Sessions are run by DBS-Checked volunteers and, as a non-profit, we only charge to cover the costs of the sessions. 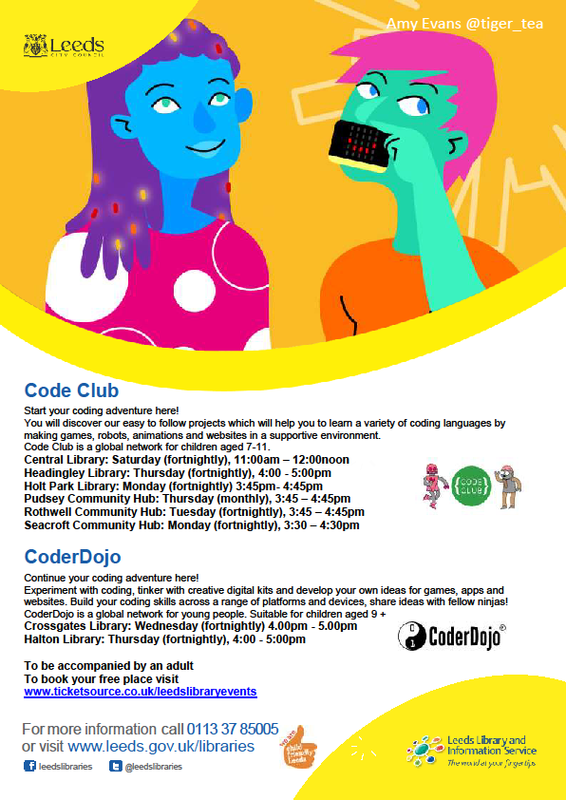 Cre8 Moortown takes place at Lidgett Lane Community Centre, Ls17 6qp on Fridays from 6pm-7.30pm beginning on 3rd May up until 28th June (with no session on 31st May). The 8-week block will cost £30. Assisted places are available. 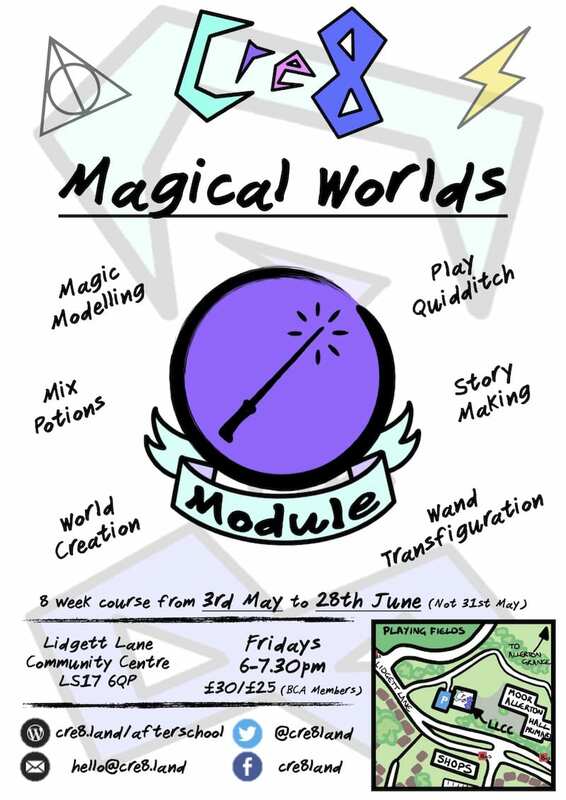 This Magical Worlds module includes: Wand Making, Quidditch, Potion Making, Magic Modelling and Magical Story Creation. Please email if you have any questions and please share to help spread the word! Thank you! Launching in September, Technology In Play comes to Leeds! Our weekly TiP sessions aim to inspire and enthuse your Curious Minds. TiP Sessions are designed for Primary age children. Each term we will discover STEAM (Science, Technology, Engineering Art and Maths) in an new exciting topic. Undertaking experiments, building, crafting, constructing, learning early coding and computing principles. We inspire and instill the foundations of STEAM learning; creativity, co-operation, collaboration, tenacity, problem-solving, critical thinking, whilst absorbing facts and information in an environment with a dynamic and creative approach.